This mod contains a simple set of basic Redstone logic components. The blocks have various redstone inputs and redstone outputs. The redstone outputs produce a redstone power level of 15 and can be used to power any redstone powered block, item, or other logic component. 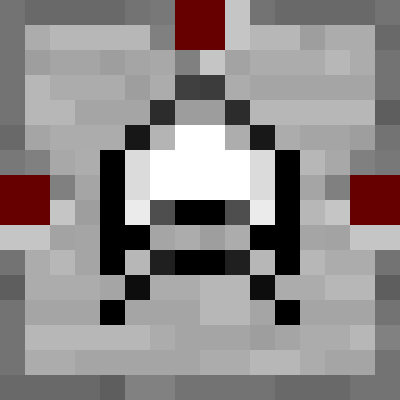 The redstone inputs accept any redstone block, item, or logic component with a redstone power level of 8 or greater. NOTE: The front side faces the placer. What a nice, low-key mod for Vanilla-themed packs. Will definitely check this out! Hi! Can these be placed on walls or ceilings? Hey thanks for the question :) unfortunately no, they can only be placed on the ground because it uses the same code framework that the redstone repeater which also must be placed on the ground. Update: I need to go out of town for a bit and I am still hoping to add a bit more functionality to the new version before I release it, so I am going to delay the release by two weeks. Look for version 1.1 around mid-month. Hey thanks! Gonna fire up the potato and give it a try. I'm stuck there for now until I can get my gaming rig to go online. update: there is a redstone wire issue. everything works if you connect things directly; i.e. lever to gate or redstone torch to gate or gate to gate. but redstone wiring in between is not functioning properly. thanks for your patience! :) working on a solution!